Conditions such as depth, current and wind all play a part in testing an angler’s patience and skills fishing these locations. Drifting with baits or lures along the edges of reef modules can reduce the risk being “snagged” or fouling an anchor on the vertical towers. 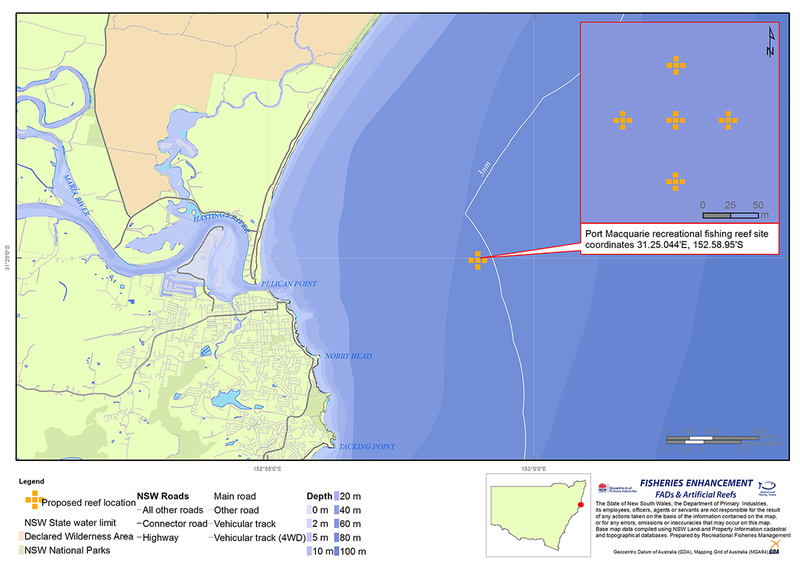 If you require any further information, please call (02) 6691 9673 or email: fisheries.enhancement@dpi.nsw.gov.au.